Gunship over Angola written by Steve Joubert, published by Delta Books. I arrived at Air Force Base (AFB) Ondangwa – my home for the next three months – for the first time just after lunch on an early November day in 1979. The temperature stood at a steaming-hot 38°C. I was 21 years old. I will be eternally grateful to the gentle shepherding, preferential treatment and covert protection that more experienced pilots and flight crew at AFB Ondangwa afforded me over the course of the next three months, as I assimilated a wealth of tricks and shortcuts without being blown from the African sky. So green was I with respect to the challenging local flying conditions, and so blissfully unaware of the fact, that I almost crashed the Alo III 'trooper' that I flew on my first mission out of Ondangwa. The 'trooper' was an Alo III configured for light passenger transport or 'walking wounded' casualty evacuation, and it had only a small .303 machine gun mounted in the lefthand sliding door for protection. My mission, a day or two after my arrival at Ondangwa, required that I fly the Alo about 100 kilometres northeast to a small South African army base called Nkongo, just south of the Angolan border, where I was to collect a senior and very fierce army officer, Colonel 'Witkop' Badenhorst, and his aide. I was then to fly them 110 kilometres due westwards to Eenhana, another army base located just a few kilometres south of the border. At around 11h00 I took off from Ondangs with the air temperature hovering around 40°C. When I got to Nkongo I performed a hover (vertical) landing onto a concrete slab inside the five-metre-high protective perimeter wall, called a revetment, which secluded the interior of the base from prying eyes outside. There was a 25-metre-wide gap in the revetment that led to a 1 000-metre-long paved runway. At the time, I strongly believed that no self-respecting chopper pilot would ever use a runway, like a normal aircraft, unless it became absolutely necessary. Now, Colonel Badenhorst was a large man. As was his aide. And so was Flip. It was also extremely hot and dry. 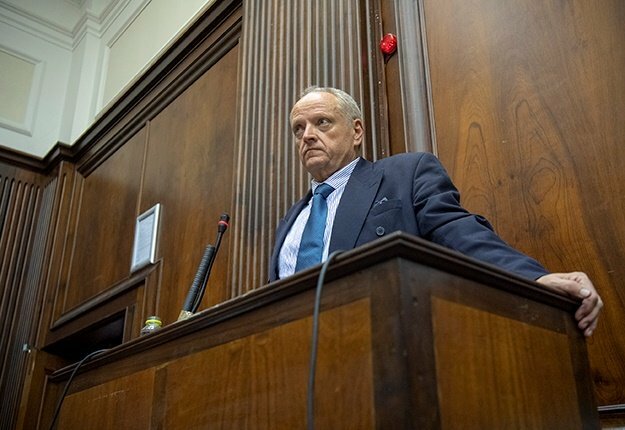 The combined effect of all these factors, I should already have known, had I been listening carefully when the subject of density altitude was discussed on the Chopper Course, instead of dreamily contemplating hidden accesses to nurses' residences, was to rob the Nkongo air of most of its available lift. My passengers boarded and I started up. Once I'd completed the pre-take-off checks I lifted the trooper off the ground and onto a cushion of air called 'ground effect', which helps to keep hovering helicopters airborne while stationary. However, as soon as I pushed the cyclic stick forward to initiate forward momentum, blissfully unaware of the impending disaster, the Alo simply 'fell off' the supporting cushion of air and refused to go anywhere, let alone accelerate smoothly and climb gracefully over the concrete and steel revetment. I realised that something was terribly wrong, and at the last possible moment hoofed the right rudder pedal as hard as I could to prevent the Alo's imminent impact with the wall. The aircraft immediately spun around to point the way it had just come, miraculously missing various pieces of structure, each of which could have caused serious damage or even injury and loss of life. The deathly silence that followed the near accident was finally broken by Flip suggesting quietly, 'Loot, let's just pretend that we're a fixed-wing and go take off on the runway like the big boys do?' Just days after the Nkongo incident, I crossed into Angola for the first of what would be countless visits over the coming years. It was standard practice that junior pilots like me would fly as 'wingmen' to more experienced pilots and learn the ropes from the oumanne (older guys). This practice, dating back to the early days of combat aviation, placed the onus for protecting the leader's backside on his wingman. During the Border War, we strictly applied this principle and never crossed into enemy territory alone. There was always another aircraft to partner with you. On this particular mission, both the formation leader and I were flying Alo III gunships, which each spouted 20 mm Oerlikon or Hispano side-firing cannons in the gap where the left-hand sliding door would normally be. We also carried around 250 rounds of ammunition in a 'pan' located on the floor in the front left of the helicopter. We departed from the airfield at Ruacana, crossed the border just east of the Calueque Dam wall and continued for 70 kilometres northwards. We were flying at low level just to the east of the Kunene River (Portuguese spelling: Cunene) to a rendezvous point where we were to climb up to the Alo III's most effective 'fighting' height of 600–800 feet (200–250 metres) above ground level (AGL) and give cover to a formation of Pumas that would be landing a company of our troops there. 'Cover' normally meant that the gunships arrived ten to fifteen minutes before the Pumas and we did our level best to ensure that there were no enemy antiaircraft weapons or hostile troops awaiting their arrival. The map of the area that we had that day was rudimentary at best and was held by the gunship formation leader, Lieutenant 'Boats' Olivier. It was a photocopy of a 30-year-old depiction of the area, hand-drawn by a Portuguese colonial land surveyor. Nevertheless, how hard could it be to find the designated landing zone (LZ) on terrain as flat as a pancake, where two well-used dirt roads intersected at right angles about 65 kilometres into Angola? The compass heading that we were following was only marginally important, as by keeping the north–south road below us and the huge expanse of the Kunene River just 200 metres to the west positioned us almost exactly above the desired track. The far more important issue should have been the time required to fly to the target, but even that was largely disregarded as the map's scale of distance seemed dubious and inaccurate. So, we relied heavily on the one clearly evident thing we had – the impossible-to-miss crossroads of the north–south and east–west roads right on the landing zone. It was only in the aftermath of this event that we were to discover that the east–west road had fallen into disuse at least 20 years before and had become overgrown with riverine bush, completely obscuring it from aerial detection. We flashed by the LZ completely oblivious to that fact. Another aspect that had escaped our pre-mission preparation was the looming presence of FAPLA (People's Armed Forces for the Liberation of Angola) troops in the fortified town of Vila Roçadas (later Xangongo), situated just ten kilometres north of our intended LZ. From the missed LZ to the town at the cruising speed of the Alo III would take less than four minutes. 'Boats, we've got to turn around,' I yelled on the radio. 'We're not there yet,' Boats responded. Without a second's hesitation both Boats and I turned sharply towards the south and dived for terra firma. Seconds later, the clear blue sky into which we had been heading erupted in a hellish scene of smoke, flame, exploding rocket-propelled grenades (RPGs) and tracer bullets. Had we continued on that path our aircraft would almost certainly have been blasted from the southern Angolan sky. The split-second decision to escape gave us the time we needed to dive steeply for the trees and set a heading due southwards for the relative safety of the border, as fast as our little Alos could carry us. I know that it is not possible to fly below ground level in any aircraft, but in the 30 minutes that followed, Boats and I did the next best thing – dodging between the low acacia trees and scrubby little bushes pockmarking the arid landscape, all the way back across the border and to the airfield at Ruacana. There we quickly refuelled and set course for our primary base at Ondangwa. I remember at the time not being aware, or even conscious, of the sequence of events that had transpired over the previous hour or two. My brain seemed numb, as if a local anaesthetic had somehow been applied to everything around me. I felt like I was watching myself from a distance of a few metres away, going through the motions of flying the chopper as a robot might. We completed the flight back to Ondangwa without further incident and landed just before sundown. I headed immediately for the pub, ate a tasteless supper and consumed an unprecedented quantity of gin and tonic, without its having any effect on me whatsoever. Much later, in the witching hours of that night, I lay awake, wide-eyed in the cocooned refuge that was my mosquitonet- enclosed, cold-steel, military-issue bed in the darkened, prefabricated 'terrapin' billet at Ondangwa. There, I was finally invisible to the sharp eyes of my more experienced colleagues, who might otherwise have spotted all the newfound doubt and fear that had suddenly become my unwelcome companion. I felt suddenly stripped bare of my self-belief. Only then did the mechanism in my brain that controls these things begin to review, in graphic detail, frame by frame, the full sequence of our most fortunate escape. 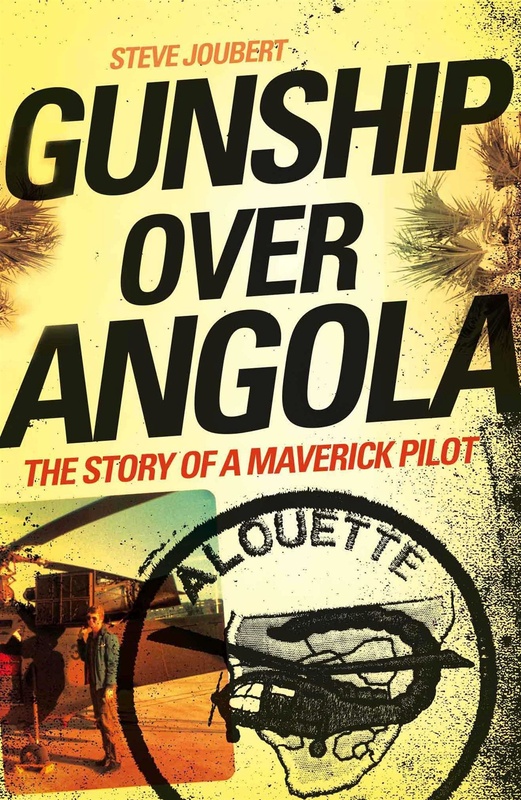 * This is an extract from Gunship over Angola: The Story of a Maverick Pilot written by Steve Joubert and published by Delta Books.